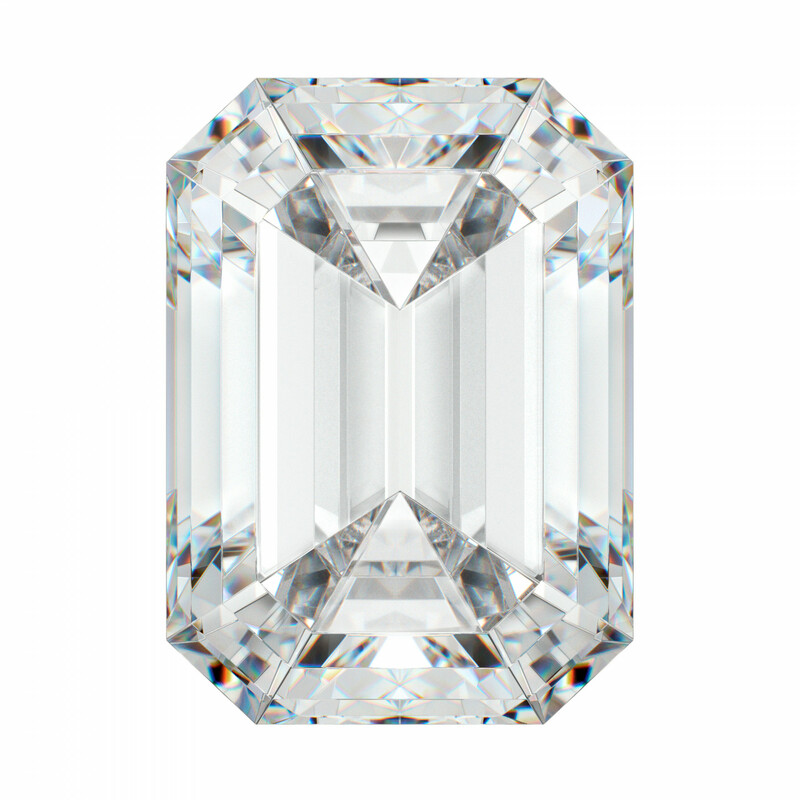 Emerald Cut Certified Series was added to your cart. 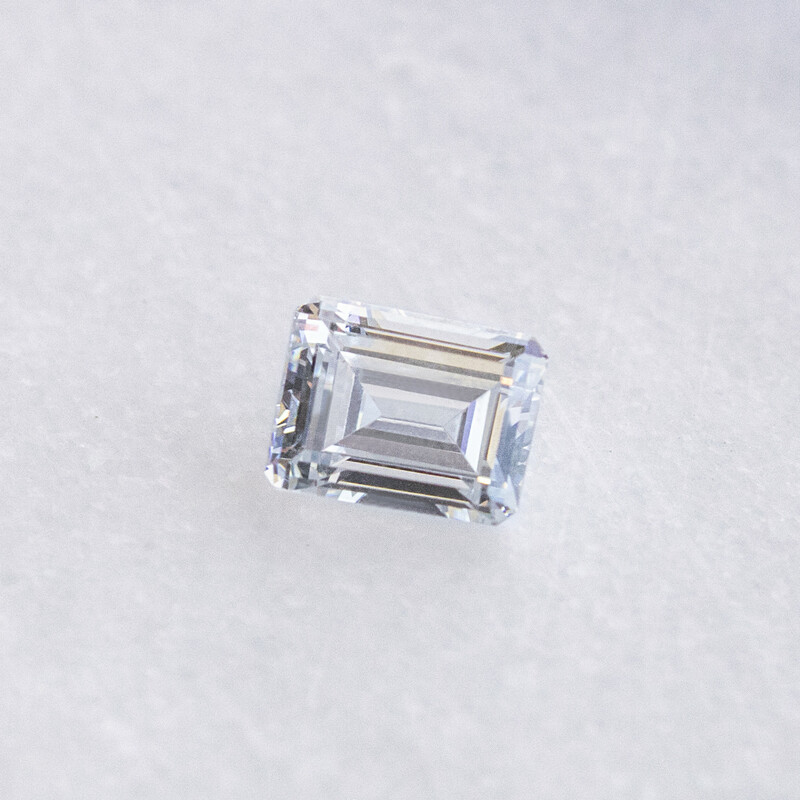 The sophisticated Emerald cut is a rectangular design with flat corners. It has a step cut facet design, which resembles a deep staircase and has the refractive effect of a series of mirrors. Due to the angle, size, and shape of the facets, the Emerald cut shows less brilliance and fire (dispersion) than other gemstone cuts. However, the Emerald cut is widely known for its classic beauty and appealing elegance, especially when used as a focal gemstone. My stone was flawless! Everywhere I go people comment on how beautiful it is and guess that my ring and stone easily cost 15-20k. I'm a very logical person and spending that much on a ring just seemed silly. This was an amazing choice. Lovely! Stunning! Flawless! Brilliant! Are the word we have heard from admirers. We I'll shop with Bexus for other gifts and personal jewelry needs. Lovely! Flawless and admired by all. Oh my goodness! This stone is absolutely breath-taking! I ordered a 2.62 ct stone to have set in an heirloom setting. 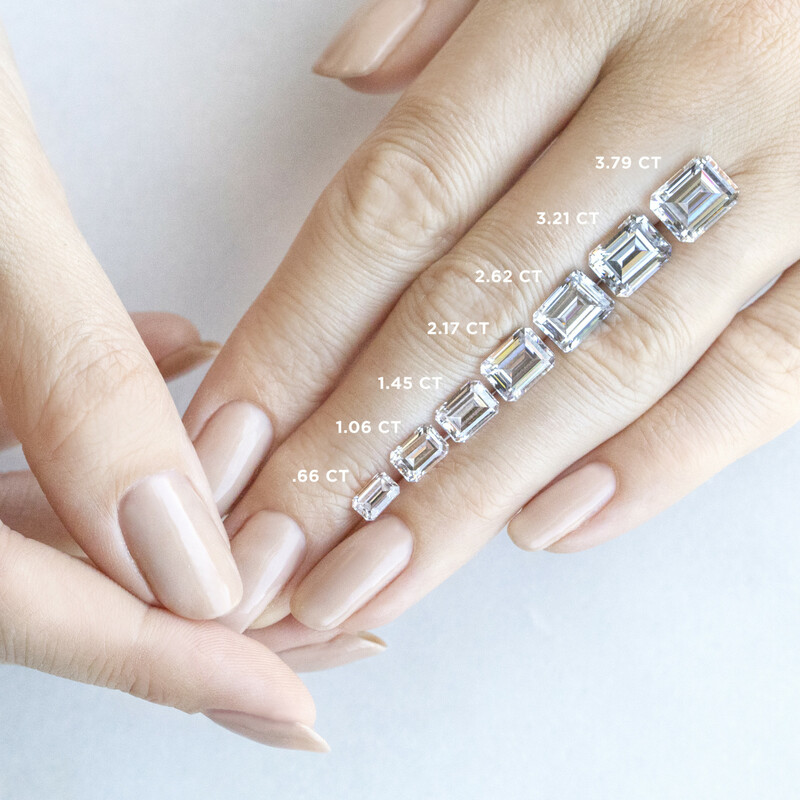 I already own a 1ct emerald cut diamond and you REALLY CANNOT TELL THE DIFFERENCE. The jeweler that set it for me was also very impressed and is going to look in to selling these stones. When you have this diamond on a ring and on your finger you can truly know why they say a diamond is a girls best friend. I almost had tears in my eyes when I had to take it off but thankfully ill get mine soon!